I was so excited to be asked to write a Marketing Memo for Higher Ed Experts, a great professional group that offers lots of different types of online courses, conferences, and articles for higher education professionals. 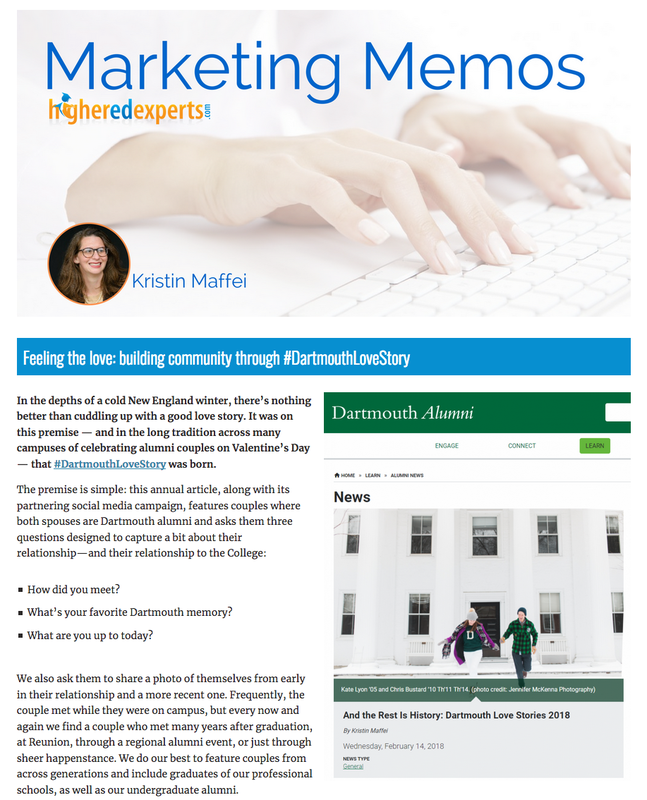 My marketing memo is a case study of one of our most successful social media campaigns, #DartmouthLoveStory. One of my favorite pieces to put together each year, the Love Story interviews dozens of Dartmouth alumni couples. In my marketing memo, I cover how the story and adjacent social media campaign meet my department's mission, and discuss the history and future of the story. I hope you'll give it a read!